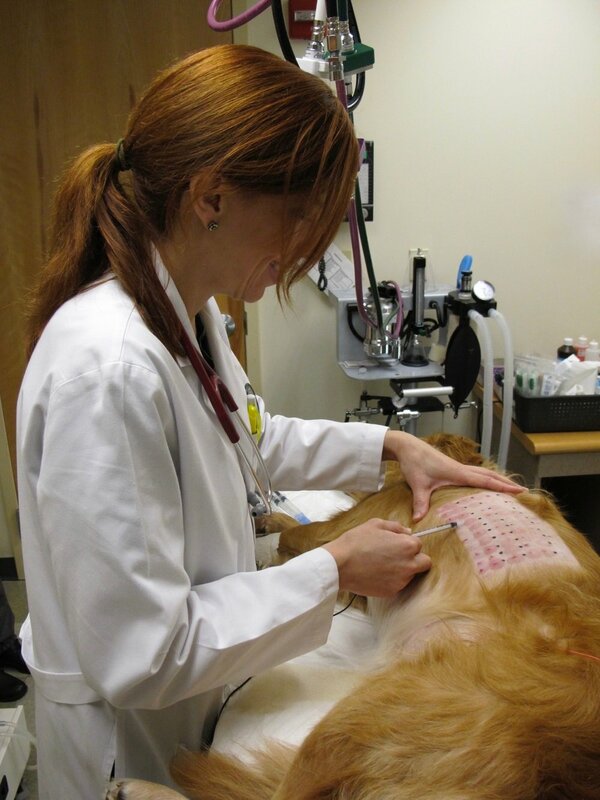 WHAT IS A BOARD CERTIFIED Veterinary DERMATOLOGIST? The American College of Veterinary Dermatology (ACVD) is an organization of veterinarians certified as specialists in dermatology. These specialists are granted diplomate status. The college is recognized by the American Veterinary Medical Association and must maintain the highest standards of training and certification. To be eligible for diplomate status, a licensed veterinarian (post graduate training - 4 years of veterinary school) must have completed an internship program (1 year) and a residency (3 years) in an accredited ACVD program. This includes extensive training in anatomy, physiology, and pathology of the skin, clinical dermatology, research, and dermatopharmacology. After the successful completion of the required residency training, the certification process includes requirements for original research, publication in a scientific journal, medical presentations, and demonstration of superior case management. The final step in the certification process is the successful completion of a multi-day comprehensive examination administered by the American College of Veterinary Dermatology. Only those "dermatologists" with diplomate status (Dip. ACVD or DACVD) are recognized as experts by the medical community.